Our Commitment To Quality Asphalting, Tar Surfaces And Customer Satisfaction. By controlling the raw ingredients, Absolute Asphalt can produce any type of asphalt mix to handle unique challenges; whether it’s steep hills where cracking can be a problem, or a flat driveway, Absolute Asphalt builds asphalt solutions designed to look better and last longer. 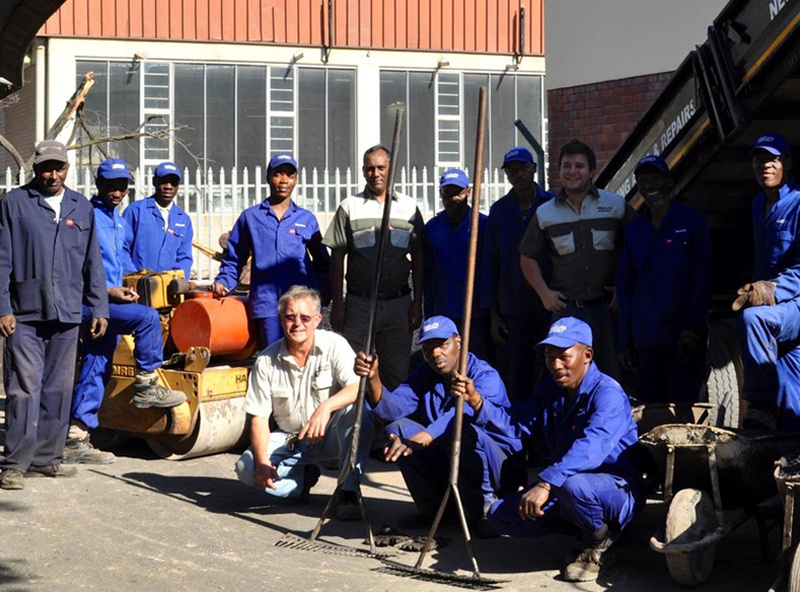 Locally owned and operated out of Durban, Kwazulu Natal, Absolute Asphalt is a family orientated company. Father and son team with Gerard & Kevin Loumeau at the helm. For nearly 20 years, asphalt manufacturing and paving has been our focus. Across the entire Absolute Asphalt organization, you will find knowledgeable and passionate team members to serve you. Absolute Asphalt only uses the highiest quality asphalting products, all crusher run is sourced from Afrisam which is SABS approved. The hot asphalt we use is purchased from Much Asphalt and their Asphalt is also SABS approved and of the highest quality ensuring the work we do lasts and adds value to your property. At Absolute Asphalt, we have our own plant equipment and machinery, from our two tipper trucks, this helps us to be efficent and get the job done faster not having to rely on others to bring in materials or remove rubble. We have our own 65 Bomag Rollers as well as a bigger roller (75 Bomag Roller) use for Base layer work. The Absolute Asphalt project management team and crews pride themselves on communicating directly with you, giving you control through the entire process. From scheduling to walking you through each step of the process, Absolute Asphalt takes the time to ensure your complete satisfaction. When the job needs to get done, Absolute Asphalt will work with you to open earlier or stay open later in the year. Keeping your busy schedule in mind, Absolute Asphalt will schedule your paving project in a way that causes as little inconvenience as possible. Absolute Asphalt has the confidence to stand by its work with one of the strongest guarantees in the industry, offering a one-year warranty on workmanship for all asphalt paving projects.